Your spacious home features: hall, 1-2 bedrooms, toilet / shower, living room with DVD and digital LCD TV, kitchen and balcony on the sun side overlooking the beautiful Sauerland. You also have access to parking and guests garden with o a.. Seating areas, trampoline, table tennis, swings and playground. Max. 5 persons per dwelling. Christmas period is always on request. Walk the garden and park are in the Osterkopf where you can hear the silence. Yet you are also within walking distance (150 m) from the supermarkets and station (200m) and 300m from the 5 fine restaurants. 'Haus Alle Jahreszeiten' has been around since 2006 and has won the Zoover Award 9 times since 2009 - 2017 as Best Appartement in Germany. Our price-quality ratio gets a 9.6. That's why our holiday warranty: Not good money back. Die Vermieter waren sehr nett und haben wir haben uns sehr wohl gefühlt. Die Ferienwohnung war sehr gut eingerichtet. Alles top! Kommen gerne wieder. Tolle Wohnung, Schöner Garten, nette Gastgeber! Super saubere Wohnung mit allem was man braucht! Wir fanden die Wohnung viel schöner und gemütlicher als wir sie uns vorgestellt haben und haben uns sofort wohlgefühlt! Sehr nette und zuvorkommende Gastgeber. Jederzeit wieder! Super mooi appartement in landhuisstijl met alles wat je je kunt wensen en een geweldig uitzicht. Brandschoon, super ontvangst en meer dan geweldig ontbijt. Eindelijk mensen die het snappen en de prijs is echt meer dan fair. Wij hebben weer geboekt voor januari ! Na alle positieve beoordelingen op Zoover te hebben gelezen waren onze verwachtingen hoog. En we zijn zeker niet teleurgesteld. Wat een mooie plek, sfeervolle woning, super super schoon en een buitengewoon hartelijk ontvangst. Het ontbijt wat je kunt bijboeken met vers gebakken brood is een aanrader. Wij komen terug, reken maar ! 'Haus Alle Jahreszeiten' is situated on the edge of Sauerland in Willingen-Usseln, you walk out the backyard and are directly in the park 'Osterkopf "amidst the numerous uigezette trails. A unique place where you can hear the sound of silence, you can enjoy the most beautiful scenery, nature, wildlife etc. and yet only 150 m from the supermarket, 200 m from the station and 300m from the local hospitality industry. The skipstes Willingen - Usseln at 200 and 800 meters from our house and the ski slopes of Willingen at 4.5 km. SKI / SNOW BOARD / CROSS-COUNTRY SKIING: Willingen is known for its perfect winter sports facilities in the Sauerland. Willingen has since 2007 provided with the latest artificial snow system in Germany (above the Alps) bringing the total to 17 slopes can be covered when the temperature has dropped below freezing causing Willingen Sauerland is not only dependent on natural snow. It is further annual basis in Willingen World Cup ski jumping organized. 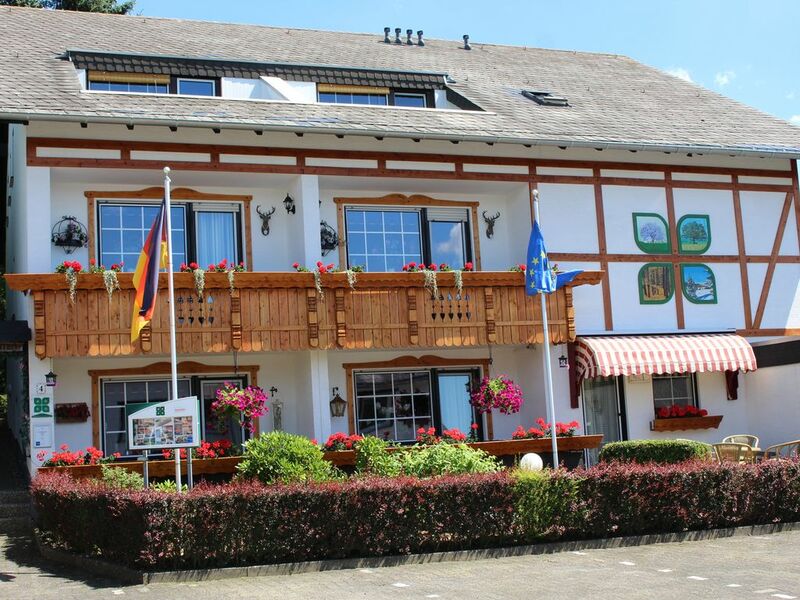 GOLF: You can play golf in Brilon and Korbach, approximately 12-15 km from our house.